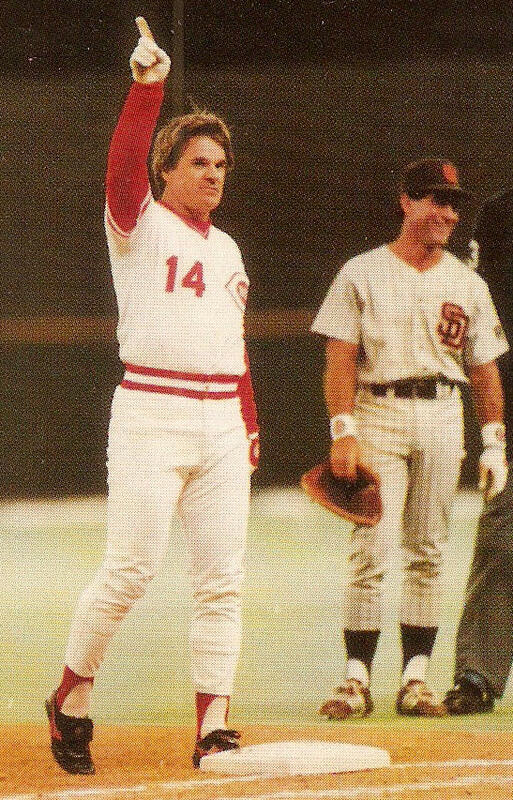 Pete Rose immediately after breaking Ty Cobb's record of 4,191 career base hits. 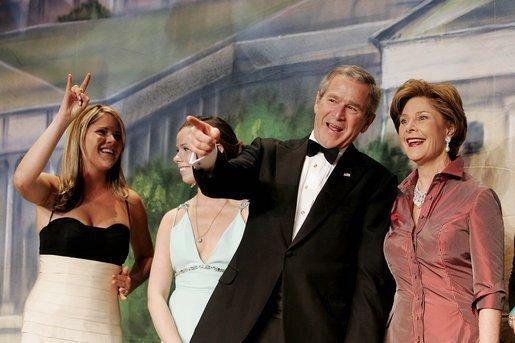 In my world, there is nothing worse than a front-runner. Here at WVXU and at the Enquirer for nearly 30 years, I've been able to write about the Redlegs on many special occasions. The Enquirer always used me as the "Voice of the Fans" so I did not have to adhere to the stodgy play-no-favorites rule of journalism. I could say whatever I wanted – I spoke for the fans. My most memorable stretch of writing about baseball was in early September 1985, when the Enquirer sent me on a Reds road trip to St. Louis and Chicago as player-manager Pete Rose was closing in on Ty Cobb's record of 4,191 career base hits – then a 57-year-old record many thought would never be broken. Until, that is, a Riverside "river rat" named Peter Edward Rose came along. Pete, with his 10 seasons of 200 or more base hits. Pete, with his 24 years playing major league ball. Pete, with his .303 lifetime batting average. If anybody was ever to catch Ty Cobb, it was Pete Rose. Now, just for the record, I'm not very enamored of "The Hit King" in recent years. His behavior has been inexcusable. Intolerable. It turns my stomach. I've just had enough of him. I don't care if he has a statue outside Great American Ball Park or not. 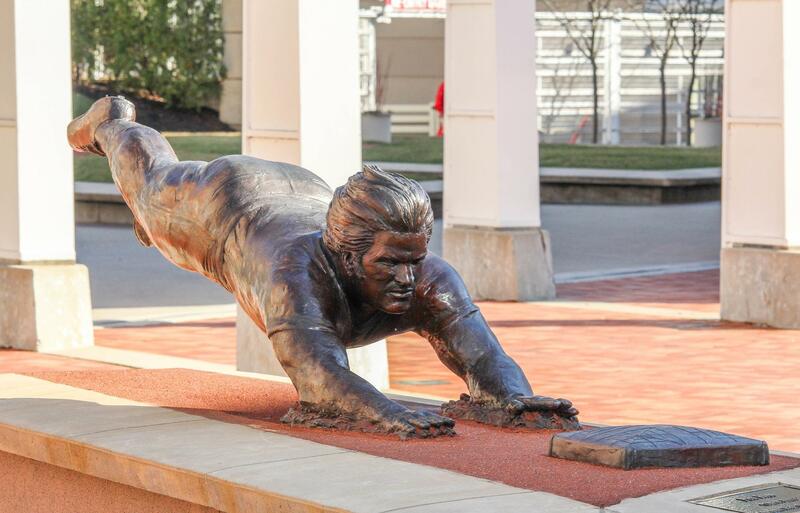 Pete Rose's statute outside of the Reds' Great American Ball Park. But, I will say, without fear of contradiction, there were few players I enjoyed watching play more than Charlie Hustle. He played like a man with his hair on fire. The memories of his belly-flopping into third base. Plowing over Ray Fosse in the 1970 All Star Game at brand-new Riverfront Stadium. Seventeen All Star game appearances. 1973 National League Most Valuable Player. I was over the moon when the Enquirer's editors told me I would be part of the reporting team traveling with Rose and the Reds until he collected hit number 4,192, pushing him ahead of Cobb on the all-time list. The Enquirer crew was made up of Greg Hoard, the Reds beat writer at the time; Tim Sullivan, the Enquirer sports columnist (now at the Louisville Courier Journal) and my old pal, John Erardi, one of the best baseball minds I know. Erardi was along to do the sidebar and feature material; I was there to write about the fans who were traveling along with the team to be there in case Rose broke the record on the road. And there were plenty of them. Rose was great to cover; he was a reporter's dream. He talked and talked and talked. He would not stop. And, even when you ran out of questions to ask, he would suggest more and talk about them, too. Some national writers were wondering if Rose would crack under the pressure of chasing Cobb. No chance of that. Actually, the whole premise of this Rose-Cobb chase was way out of whack. Rose probably set the record on Sunday, Sept. 8 in Wrigley Field, not on Sept. 11 in Riverfront Stadium as "history" would have it. You see, the recording keeping in Ty Cobb's day wasn't really up to snuff, and the American League ended up erroneously double-counting a two-hit game Cobb had in 1910. Which meant that Cobb ended his career with 4,189 hits, not 4,191. Commissioner Bowie Kuhn was asked to rule on the discrepancy in 1981. He took a pass, preferring to leave the 4,191 figure in place. Nobody talked much about that on our road trip though. Early that evening, Erardi and I wandered out of the team hotel on Michigan Avenue and took a long walk around the "The Magnificent Mile." We were getting really hungry. On Ohio Avenue, we walked by a very fancy steakhouse (the name of which escapes me). We decided to pop in and see if we could order up some steaks as big as our heads. I'm sorry, gentlemen, said the maître de. Jackets are required for gentlemen in our dining room. But perhaps I can help you. He led us to a small room behind his stand, where there was a big box of some of the most motley looking suit coats you could imagine. We tried a few on, settled on ones that we liked and the maître de was all smiles, escorting us to a table for two – way, way in the back. We looked like a couple of circus clowns. Neither of us had a jacket that fit, but we didn't care. Soon, we were chowing down on what were the best steaks I've had this side of Nebraska. But, the next day, we were hard at work. The Reds won game 1 by a score of 7-5, with Mario Soto pitching a complete game. It was a good day for Rose, playing first base and batting second – he had a two-run home run in the second and followed it up with a single. On Saturday, the player-manager put himself back in the lineup but went 0-for-4, while the Reds lost 9-7. The media traveling party knew what that meant – Steve Trout, a left-handed pitcher for the Cubs, was scheduled to make the Sunday start. That meant that Rose would take himself out of the lineup for the final road game before going back to Cincinnati. Rose, in those days, platooned himself with Tony Perez at first base, with Perez playing against left-handers. So, we knew Pete would pencil in Tony for the Sunday game. We figured on a quiet Sunday with no big news to report. I showed up early Sunday morning at Wrigley. I walked down on the field and plopped myself down on the bench in the Cubs dugout. Several young Cubs players – all of them September call-ups from Chicago's minor league system – were standing around Rose in a semi-circle. Listening intently as Rose told story after story – some of them funny, some of them instructive. He was his usual highly entertaining self, and the rookies were duly impressed. Then, suddenly one of the Reds' coaches came running across the field, yelling breathlessly. Steve Trout just fell off an exercise bike! Busted up his left shoulder! Scratched! Reggie Patterson is the new starter! Rose's jaw dropped. He knew what this meant – Patterson was a right-handed pitcher. He was putting himself in the lineup! Excuse me, boys, I gotta go get in uniform! I'm playing today! And, sure enough, he did. Rose slapped two singles off Patterson – the second of which, in the fifth inning, was hit number 4,191, tying Cobb. Even the highly partisan Cubs crowd, which ordinarily booed Rose lustily, was on its feet cheering his accomplishment. Those of us from Cincinnati knew there was one person back in Reds Country who wasn't cheering – Marge Schott, the principal owner of the Reds. We could imagine Schott pacing about her Indian Hill mansion, chain-smoking cigarettes and cursing Rose for putting her full house at Riverfront Stadium in jeopardy. The Reds, you see, were coming back home for a series with the Padres, and she desperately wanted the hometown hero to come back to Riverfront and get his history-making hit there. You could probably see the smoke from her ears pouring out the windows of her Indian Hill estate. And, then, the unexpected happened. One of the biggest, most powerful thunderstorms I have ever seen came rolling in off Lake Michigan and enveloped Wrigley Field. It looked as if it would never stop. I found a relatively dry spot on the catwalk that ringed the press level and started banging on a crude, early-model laptop that was nearly impossible to use under normal circumstances. It was hot and steamy and wet. But, I wrote my 4,191 story and started looking for a phone where I could transmit it. At one point, walking about the catwalk, I peeked into the WGN TV booth. What I saw there haunts me in dreams to this day. There I saw Harry Caray, the legendary baseball broadcaster, surrounded by empty beer cans and sprawled out across the table, naked from the waist up. He turned over slightly, made some indistinguishable noise in my direction and went back to sleepy-bye. It was like encountering Jabba the Hut. After nearly two hours the rain stopped and the game resumed. It was getting close to dusk. Rose had two more at-bats. He grounded out and struck out before the game was called because of darkness. It was declared a 5-5 tie. Three nights later, before a full house at Riverfront Stadium – including a happy-as-a-clam Marge Schott – there I was, still covering the fan reaction for the Enquirer. 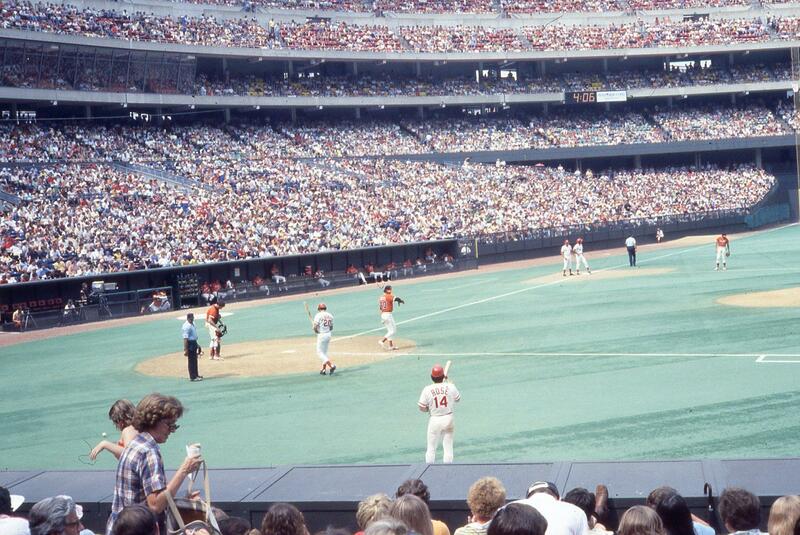 Pete Rose on deck at Riverfront Stadium in 1978. Rose didn't wait long. He looped a single into left field off Padre starter Eric Show and a celebration began with Rose standing at first base. Schott came out and gave him a Corvette. Pete Jr. came out and tearfully hugged his dad. His teammates carried Rose off on their shoulders. It was the most incredible celebration I had ever seen at Riverfront. All for a record, that, in all probability, he had broken three days before in Chicago. Now, if I could only get that picture of Harry Caray out of my head.